THE ISLAMIC State group early Saturday released two women and four children they had been holding since July in the first part of an exchange with the Syrian government that will set free dozens of women related to members of the extremist group, opposition activists said. 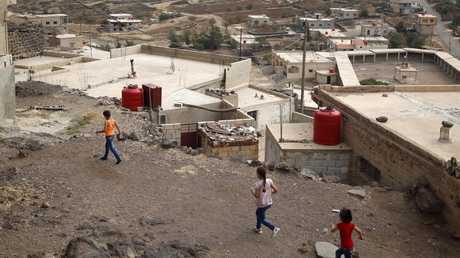 The women and children were among 30 people kidnapped by IS in the southern province of Sweida on July 25 when they carried out a raid that left at least 216 people dead. The Islamic State group that kidnapped the hostages, the six released are part of an exchange with the Syrian government. Picture: SANA via AP. One woman died in IS custody while another was shot dead. In August, a 19-year-old man was also killed while in detention. 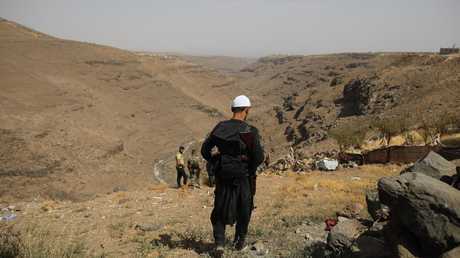 The rare attacks in Sweida province, populated mainly by Syria's minority Druze, came amid a government offensive elsewhere in the country's south. The co-ordinated attacks across the province, which included several suicide bombings, shattered the calm of a region that has been largely spared from the worst of the violence of Syria's seven-year long civil war. In this photo released by the Syrian official news agency SANA, a man kisses the head of Rasmiya Abu Ammar after being freed by the Islamic State. Picture: SANA via AP. Britain-based Syrian Observatory for Human Rights said the women and children were the first batch of the exchange, adding that more will follow. The Observatory said the government in return will release 60 women held by authorities and a $27 million ransom. The Suwayda 24 activist collective posted a picture of a woman and four children who were released adding that authorities freed 17 wives of IS fighters and eight of their children. It added that 21 women and children still being held by IS will be set free in the coming days. 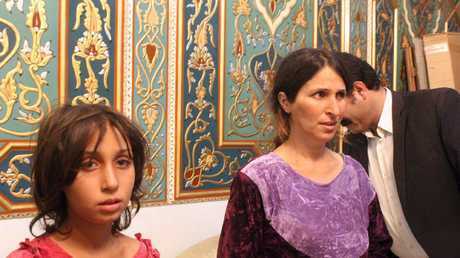 Suwayda 24 identified the released women as Rasmiya Abu Ammar and Abeer Shalgheen and her four children. "I am very happy. 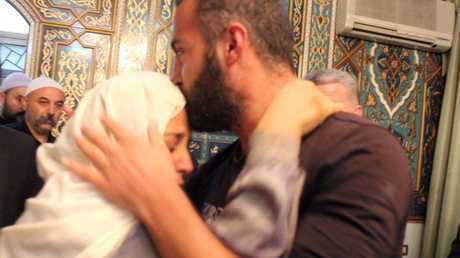 My happiness is great but it would have had been better had they released my son with me," Abu Ammar told reporters shortly after her release. Shalgheen, standing next to her two sons and two daughters, told Syrian TV "we were confident that we will be set free but at some times (during detention) we were so desperate that we wished the ceiling fell on us." The July 25 attack on the southern city of Sweida and nearby villages was one of the deadliest by the extremists since they lost most of the land they once held in Syria and Iraq. More than 200 people were killed and 30 women and children abducted in July, 2018 in Sweida, a provinence in Syria. Picture: Hassan Ammar / AP Photo. 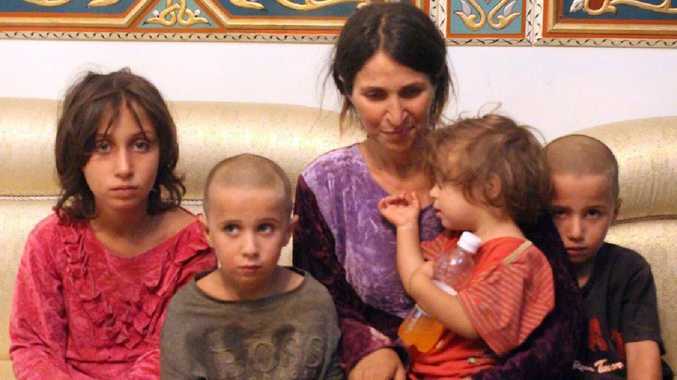 State news agency SANA quoted the governor of Sweida Amer Ashi as saying that the six hostages were freed as a result of the tight siege imposed by Syrian troops on the extremists in the desert area outside the city of Sweida. He said that more hostages will be freed soon. SANA quoted the women as saying that they lived through harsh conditions during their 88 days of detention adding that they suffered from sickness, hunger, cold and hot weather amid fighting. Syrian troops have been on the offensive in Sweida against IS for weeks in clashes that left dozens of gunmen dead on both sides. The Observatory said that as the exchange was ongoing, calm prevailed the Tulul al-Safa region where the fighting had been ongoing for weeks. In eastern Syria, SANA raised the death toll of Thursday's air strikes by the U.S.-led coalition on the last pocket held by IS in the Deir el-Zour province to at least 62. 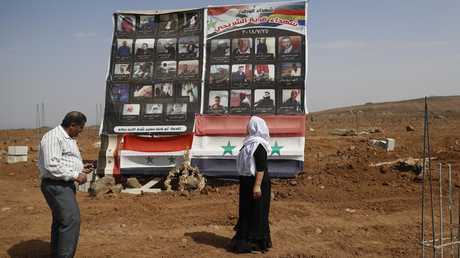 A Druze family visits a memorial erected in honor of the 37 Druze who killed during a stunning Islamic State attack at the village of Shreihi in the southern province of Sweida, Syria. Picture: / Hassan Ammar. The Observatory gave an earlier death toll of 46 including civilians and IS members. The U.S.-backed Syrian Democratic Forces have been advancing under the cover of air strikes by the U.S.-led coalition since last month. The Observatory reported more air strikes on the area near the Iraqi border on Saturday killing 35 IS fighters on Saturday alone. It said the U.S.-led coalition targeted six vehicles belonging to IS on Saturday.